When news broke that Disney and Lucasfilm’s Han Solo spinoff had fallen on hard times, many feared the worst. Four months into an intense shoot, Lucasfilm boss and all-around Star Wars veteran Kathleen Kennedy formally announced that due to creative differences, The LEGO Movie directors Phil Lord and Chris Miller were no longer attached to the anthology pic, which would instead be ushered over the finish line by Ron Howard. Eager to put any production woes behind them, the folks at Lucasfilm ensured a quick turnaround when locating a replacement director, and in the space of just 48 hours, two became one at the helm of 2018’s Han Solo origin story. 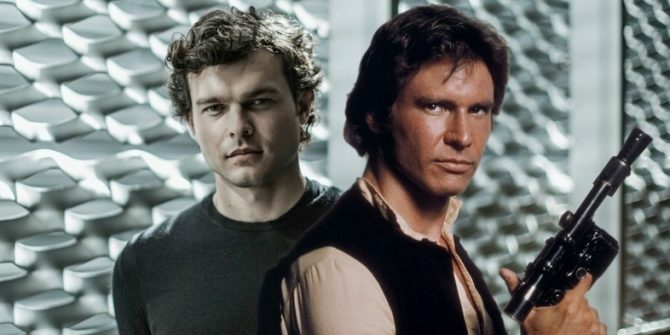 But if production ground to a halt late last month, Star Wars fans can take solace in the fact that filming has now resumed on the Alden Ehrenreich-fronted spinoff, and a new wave of set photos have trickled online to prove it. 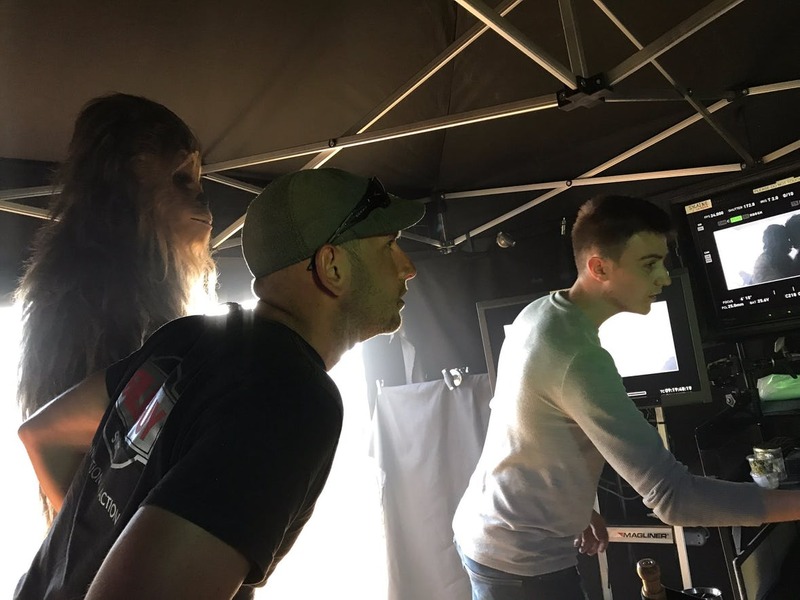 Those candid pictures were uploaded through Ron Howard’s personal Twitter feed, where the latest showed Joonas Suotamo’s Chewbacca checking a shot from behind the scenes. Upon further inspection, that scene in question appeared to show two Wookiees embracing as an intense battle rages in the background. In case you missed it, we’ve included it below for your viewing pleasure. Circling back to those creative setbacks, Episode IX director Colin Trevorrow recently took part in a lengthy interview with The Hollywood Reporter, where the outlet quizzed Trevorrow about his contribution to Jurassic World: Fallen Kingdom and that famous galaxy far, far away. However, when the conversation veered toward a certain roguish smuggler, the writer-director was quick to defend Disney’s Han Solo movie, stating that “art is very personal” for those on the ground level. Movies are very personal, and art is very personal, and for people to try to turn that into something that is salacious or something that will get clicks is frustrating and sad for me because I know that [movies] mean a lot to everyone involved. And everybody involved in that movie is passionate about it and worked on it very hard and continues to work on it very hard. Beyond the arrival of Star Wars: The Last Jedi on December 15th, Disney and Lucasfilm have lined up their Han Solo standalone pic for release on May 25th, 2018.